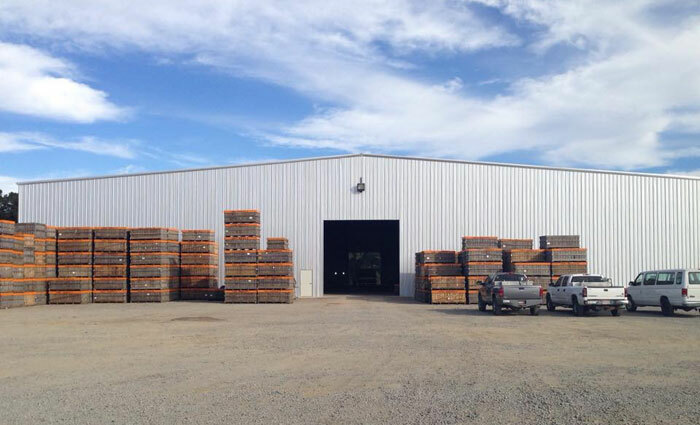 Corey Produce houses our own climate controlled storage facility located in Bethel, NC. This facility allows us to cure and store our own sweet potatoes. During the curing phase, sweet potatoes are housed in our climate controlled rooms in wooden boxes, where the temperature is a warm 85°F. The curing process ensures that starches are properly converted into sugar, which is a vital step in the process of making this vegetable sweet and delicious. The curing process typically takes 5-10 days. After sweet potatoes have been cured, vegetables are cleaned and packaged on a packing line and then are ready for your dinner table. Having our own curing and storage facility allows us to store our sweet potatoes year round. Therefore, we can meet customer demand as needed.